Justice minister Frances Fitzgerald and Sinn Féin’s Gerry Adams have been speaking about yesterday’s damning report. JUSTICE MINISTER FRANCES Fitzgerald has said she does not know where her former secretary general Brian Purcell will be reassigned to in the civil service. She was speaking in the wake of Purcell’s decision to seek reassignement from the Department of the Justice following a damning report by an independent review group which found the department had a “closed, secretive and silo driven culture”. “I can’t answer the details of where Brian is going to be reassigned,” Fitzgerald told Pat Kenny on Newstalk this morning. Fitzgerald did confirm yesterday that Purcell will not be reassigned within the Department of Justice. She said this morning that staff in her department were sad about Purcell’s departure. Speaking at Leinster House this afternoon, Sinn Féin president Gerry Adams said that Purcell’s reassignment “looks more like a sideways move”. “I can’t think of very many positions where one can simply request, on the back of such a devastatingly incisive report, that one can simply request to be moved to somewhere else,” he said. Adams again called on the Taoiseach to explain the events surrounding the departure of former garda commissioner Martin Callinan in March after he was visited by Purcell the night before he retired. Earlier the Sinn Féin justice spokesperson said that the government must examine whether or not it can sack civil servants. Pádraig MacLochlainn was speaking today on RTÉ’s Morning Ireland programme in light of the reassignment of Purcell. The career civil servant offered to be reassigned in light of the report, but there has been some suggestion that he will keep his €200,000 a year salary, something that MacLochlainn said he has a problem with. “Not only do I have a problem with it, the vast majority of the public will have a problem with it,” he said. “There is a fear that the public sector doesn’t take responsibility for its actions and the government will have to look at this; can you sack somebody? Fitzgerald said this morning that Public Expenditure and Reform Minister Brendan Howlin has been implementing civil service reform. She also pointed to comments by the top civil servant in Howlin’s department, Robert Watt, who said last week that it should be easier to sack non-performing public sector workers. MacLochlainn said earlier that while he accepted that many of the problems at the department had pre-dated Purcell, but insisted that did not absolve him of blame. Purcell was previously criticised in the Guerin Report over his handling of Garda matters including the situation surrounding garda whistleblower Maurice McCabe. Email “'The public will have a problem with Brian Purcell keeping his €200,000 salary'”. 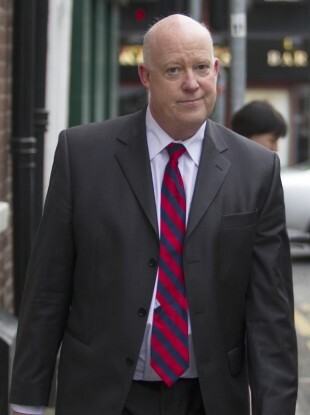 Feedback on “'The public will have a problem with Brian Purcell keeping his €200,000 salary'”.